« Easy Zucchini Casserole – Cheesy, Low Carb, Keto and Delicious! These Apple Cider Vinegar Braised Chicken Thighs really take advantage of my obsession for apple cider vinegar. The vinegar adds a wonderful tangy flavor to these braised chicken thighs. 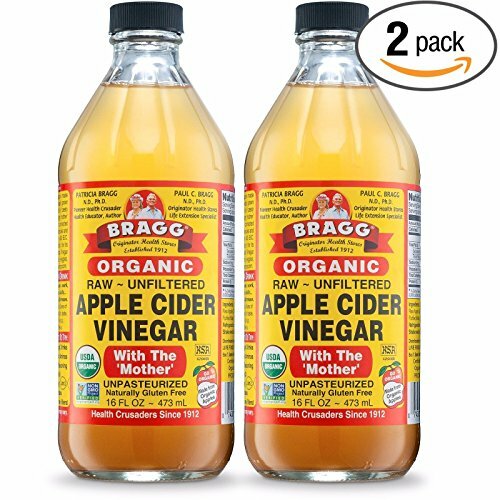 Not to mention the many benefits of apple cider vinegar which include weight loss, lower blood sugar levels and lower cholesterol. Apple Cider Vinegar is the key ingredient in this recipe. I drink a tablespoon of apple cider vinegar every day over ice with a slice of lemon, it is a super refreshing drink! 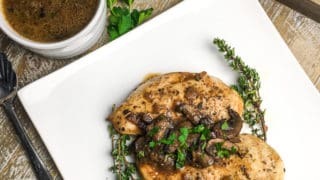 I also try to make use of it in salad dressings as well as in recipes like these braised chicken thighs. When buying your vinegar you want to look for the ones that say they contain the mother on the label. The brand that has been around the longest and the one that I use is Braggs. It is available in most grocery stores as well as on Amazon. 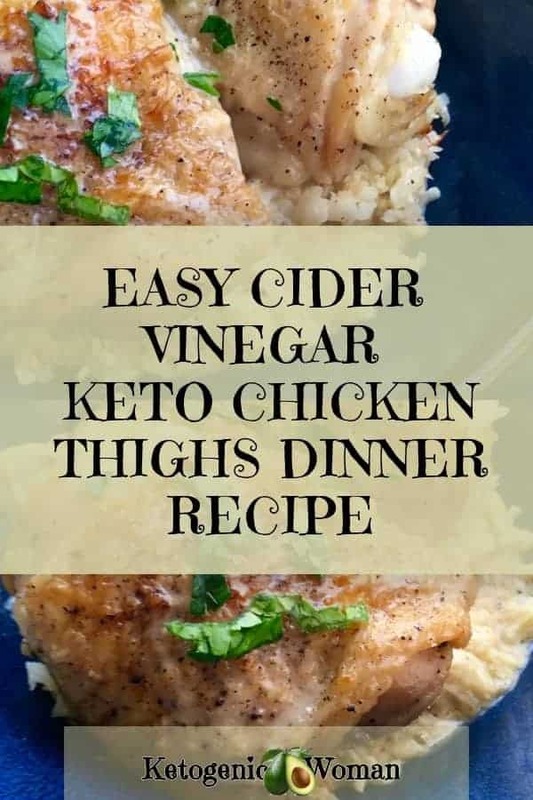 These cider braised keto chicken thighs go really well served over cauliflower rice or cauliflower mashed faux-tatoes (my personal favorite). You can follow my cauliflower rice and potato tutorial here or basically just have frozen riced cauliflower on hand for these situations. You can buy this from Costco or most major groceries! In an oven-proof skillet with deep sides, heat one tablespoon extra virgin olive oil and minced garlic over medium-high heat for 1-2 minutes, stirring occasionally. Season the chicken thighs with freshly ground black pepper, to taste. Place chicken thighs in hot skillet, skin side down, and sear until the skin is golden brown and releases easily from the bottom of the skillet. Turn thighs and repeat on the other side. Add the apple cider vinegar and 1/4 cup chicken broth to the pan. Bring liquid to a boil, then reduce heat to medium-low. Simmer for 25-30 minutes, then turn each thigh over with tongs and continue cooking another 30 minutes or until the meat is very tender. Once tender, remove chicken thighs from skillet to a separate platter. Cover and keep warm. To make the pan sauce, add remaining chicken broth to the first skillet and bring to a boil, then reduce heat to simmer. Scrape brown bits from bottom of pan with a wooden spoon and continue cooking until the sauce reduces by one half. Taste and season with additional salt and pepper, if desired. 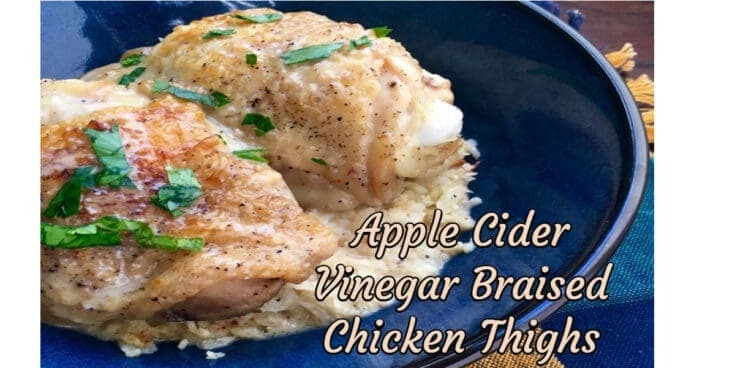 Serve the apple cider vinegar braised chicken thighs over cauliflower rice or potatoes, drizzle with pan sauce and sprinkle with fresh chopped parsley. 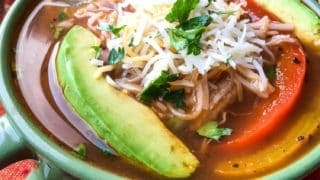 I hope you enjoy this recipe as much as my family and I did. It’s a classic that we keep in our recipe book and keep in the regular rotation. 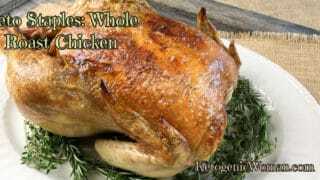 It’s simple and quick and produces a delicious meal that the entire family likes. 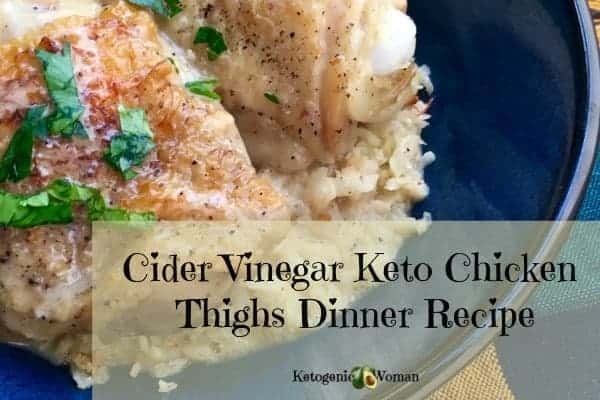 Pin this recipe so you can enjoy this easy apple cider vinegar braised keto chicken thighs dinner recipe whenever you feel like it. 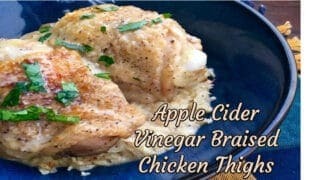 These keto pan braised chicken thighs with apple cider vinegar make an excellent low carb dinner. These cider braised chicken thighs go really well served over cauliflower rice or cauliflower mashed faux-tatoes. 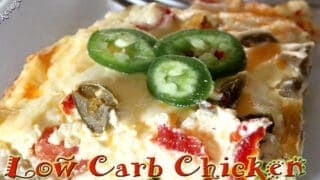 Tagged cauliflower, chicken thighs, gluten free, keto dinner recipe, low carb. Bookmark the permalink.